While CAD was losing its power due to the unemployment rate in Canada, USD was supported. The support rests at 1.31520 with resistance at 1.32120 which both lines are above the weekly pivot point at 1.31250. The EMA of 10 is moving upward and has already passed the EMA of 100. The RSI is moving in overbought area, the MACD indicator is moving in neutral zone and the ADX is showing strong buyers. 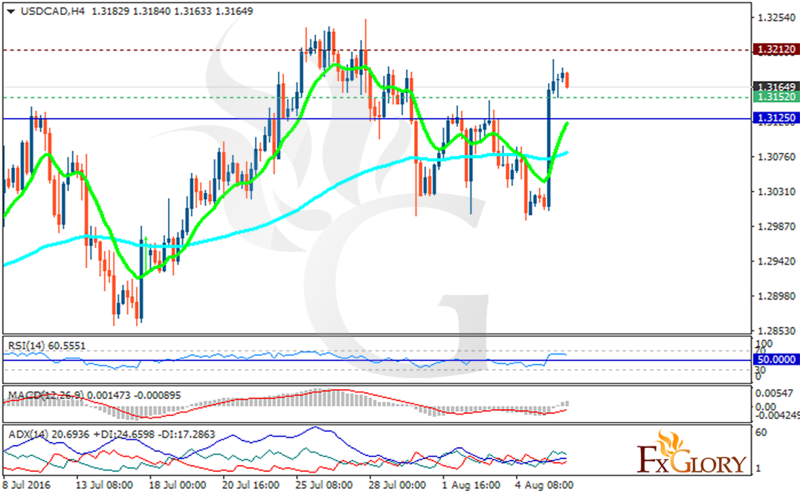 The price will continue its upward momentum, buyers can target 1.3300.